Sometimes the problem in a story hits you in the face. Lost in the woods... BAM! Problem. Villain destroying the city... BAM! Problem. 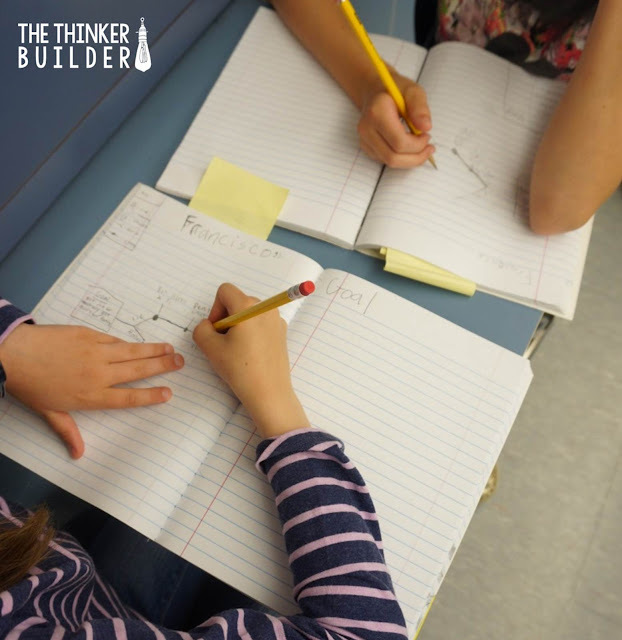 If you need to teach "problem and solution," stories with external, tangible problems can be a clear-cut way to do it. But the conflicts and struggles that go on within a character are often the most difficult to understand. The outer, more obvious problems even mask the turmoil, the tough decisions, and ultimately, the change that a main character undergoes. However, focusing on the inner struggles of the main character is meaningful. It's rewarding to a reader. It connects the reader to the character. It isn't done in only one way. 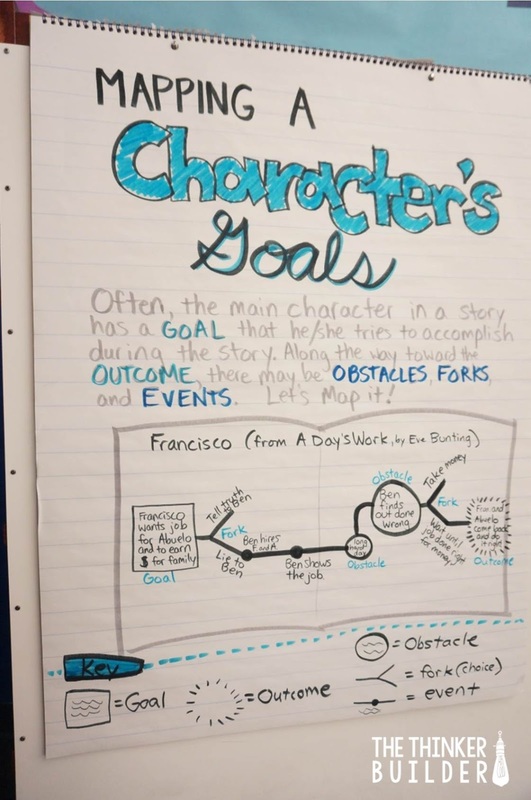 And even though we teach students that all stories have a problem and a solution (or conflict and resolution, or whatever terminology you want), the path a character travels to get from one to the other takes twists and turns. "Mapping a Character's Goals" is an idea to give students a few tools to help break down and analyze the path. I used Eve Bunting's picture book, A Day's Work, as a mentor text for this lesson, and I set up an anchor chart with a hook that says, "Often a main character has a goal he/she tries to accomplish during the story. Along the way toward the outcome, there may be obstacles, forks, and events. Let's map it!" I like to begin with identifying a character's goal because it gets us inside the character quickly, even before the struggles and conflicts push their way in. So, what does the main character want? What is his main goal? We usually don't have to read far to identify it. 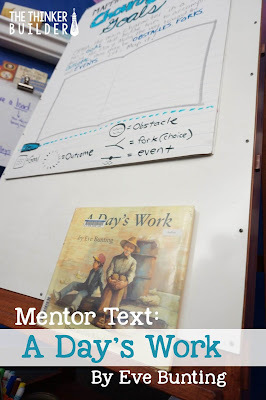 I began reading A Day's Work aloud to the class, pausing after the second page to identify Francisco's goal: to earn money for his family by helping his abuelo get a job. With students' reader's notebooks open to two blank pages, I began modeling how we were going to "map" Francisco's goal. First, just like on a map, we needed a key, with symbols we would use to help us track this goal towards its outcome. I had students mark off a small section and we started our key with a symbol for the goal. For us, we used a simple square. 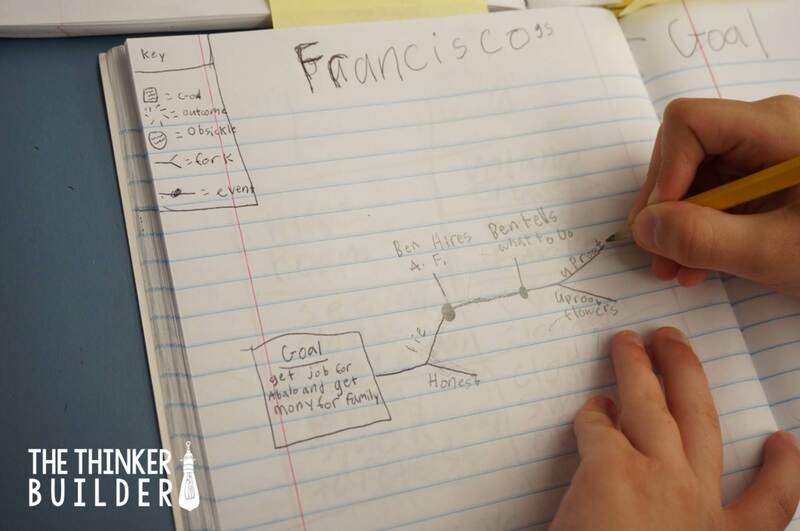 We then started our map with a square and wrote Francisco's goal within it. To help visualize the map's big picture, we went ahead and drew our "outcome" symbol on the opposite notebook page, leaving the inside of the symbol blank for now. 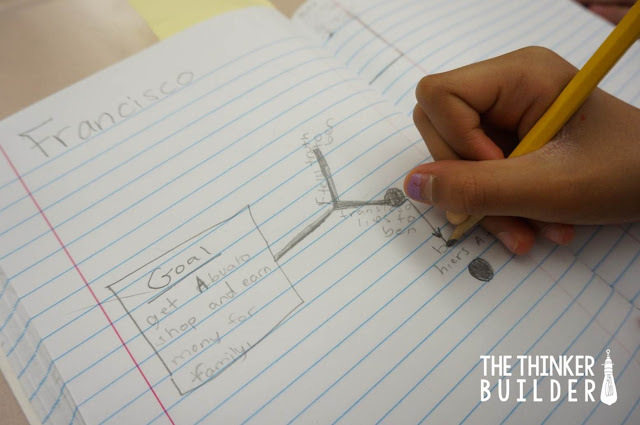 This let students see that what we're trying to do is connect the goal with the outcome. I started reading again, asking students to be thinking about the story through the lens of Francisco and his goal. Soon we came to the part in the story where Francisco chooses to lie to Ben, the gardener, so that Ben will hire him and his grandfather for the day. On our map, I modeled how to start a path off of our goal-square and come to a fork, where the path splits into two directions, symbolizing an important choice the character makes that he hopes will help him accomplish his goal. We left behind the choice not taken, and continued our path along the fork Francisco took, to lie. And here we saw the inner struggle of Francisco really start to intensify. Not only did we know his family needed money, we learned that at this point, he was willing to lie to get it. I read a few more pages of the story, and together we mapped the important events, the obstacles, and the forks encountered. About midway through the story, after I felt most students had a grasp of what we were doing, I paired students together and scaled back my involvement for the remainder of the story. I continued to read the story aloud to the class, but instead of modeling or discussing each piece of our map together, I simply chose a few places to pause. At these pauses, I asked the partnerships to decide what should be added to their map. After a couple of minutes, I'd continue reading. I knew this meant the maps were not all going to look the same. Some students interpreted an event as an obstacle, or included a fork with an obstacle instead of in place of one. But I think this was a good thing. Students started to take ownership of the analysis. When the story was finished, we gathered back together and shared our maps, revisiting the text to clarify some confusions. Together, we came to some general agreements that I transferred onto the map on the anchor chart. 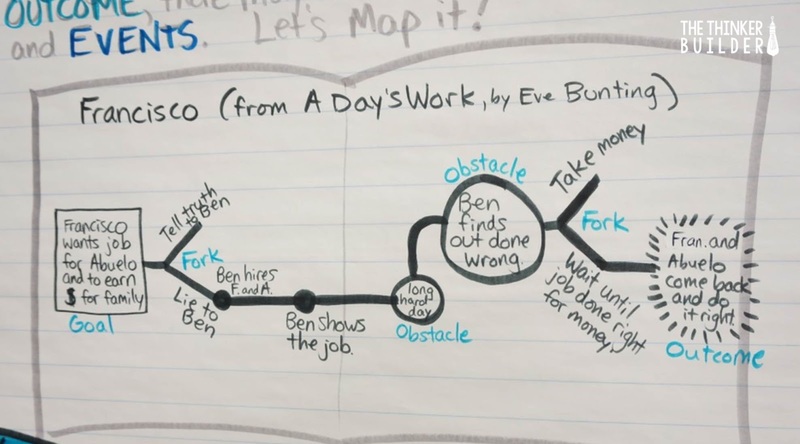 It was important to make clear to students that their map's path need not match the one I drew on the anchor chart. What was important was how much thinking we devoted to Francisco and analyzing the struggles he went through, much of which was internal, to arrive at the conclusion. The image to the right shows what the finished anchor chart looked like, if you'd like to use it for reference with your own lesson. 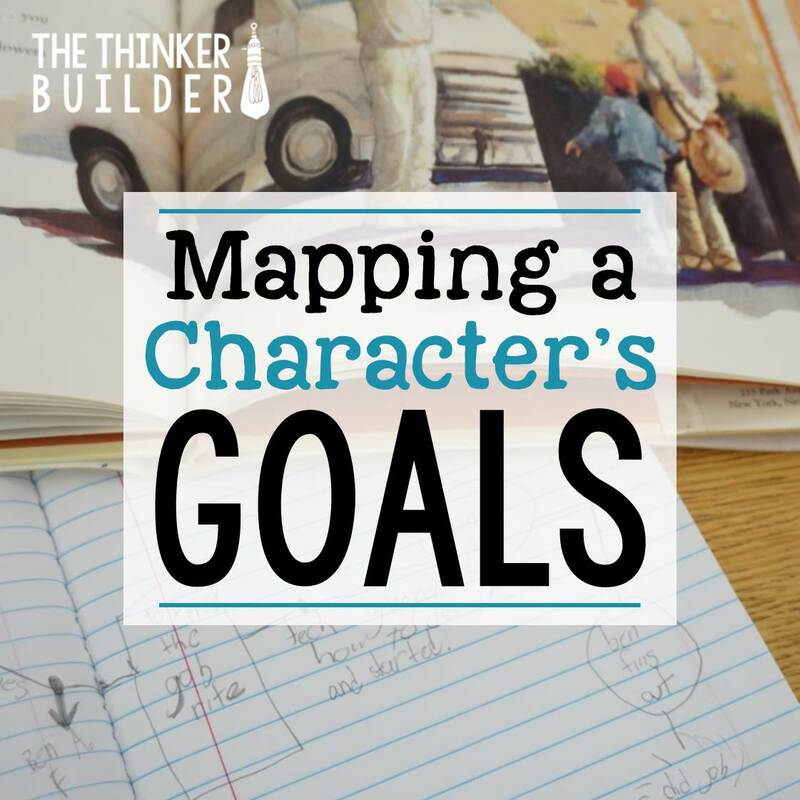 Mapping a character's goals can also be a great lead-in to talking about a character's motivations: the reasons a character does things. 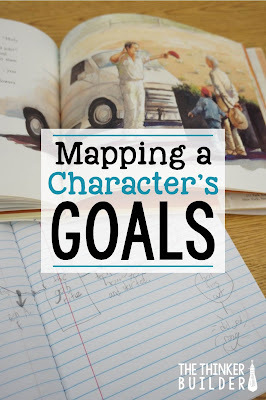 Giving students some simple tools, in a familiar structure like a map, allowed them to dig deep into a character, his goals and his struggles to reach them.